This should have been the shortest article ever because George achieved little in his brief life. He was born in 1896 and brought up as the ninth of thirteen children. 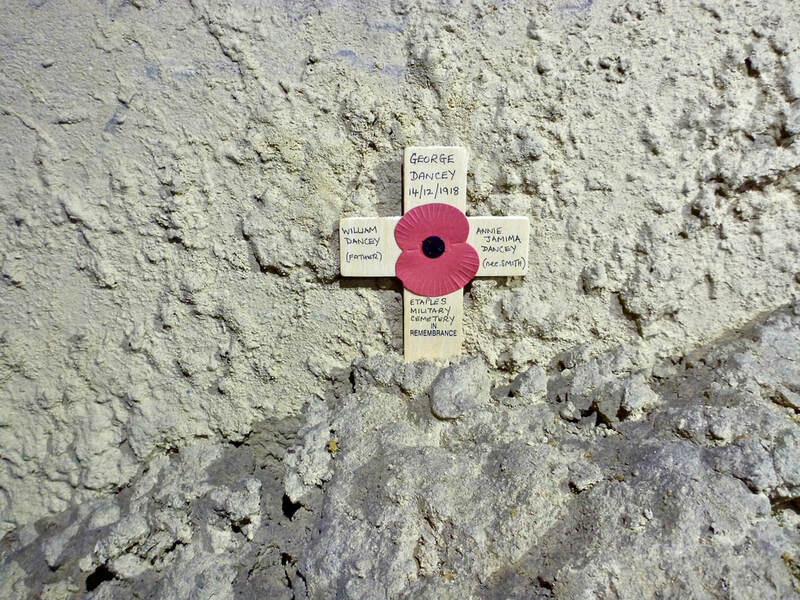 He worked for a while in the quarries and died, unmarried, aged 23. He lived in a totally overcrowded household at Box Hill, later at 7 Mill Lane, with his father, William, a stone mason aged 60; grandmother Hannah Wilkins 85; six brothers and four sisters. He had few skills and had worked as an errand boy in a masonry yard aged 15 in 1911. George used to take home the wages of his older brother, Jim, so that the family could have first choice of what provisions were available at the shops before the main exodus of workers from the mine could spend their wages. George later took up work underground, more physically demanding but better paid. Wanting to escape his daily domestic grind, he enlisted as a private in the Wiltshire Regiment, 2nd Battalion, service number 20644 at Devizes on 1 October 1915. He died of injuries sustained a month after the war ended and was buried at Étaples. Unfortunately all details of his service record were lost in the Somerset House fire and George remains canon-fodder to the military requirements of the time. But his memory survives amongst family and on Box's War Memorial. Box residents respect the sacrifice made by George and his contemporaries. 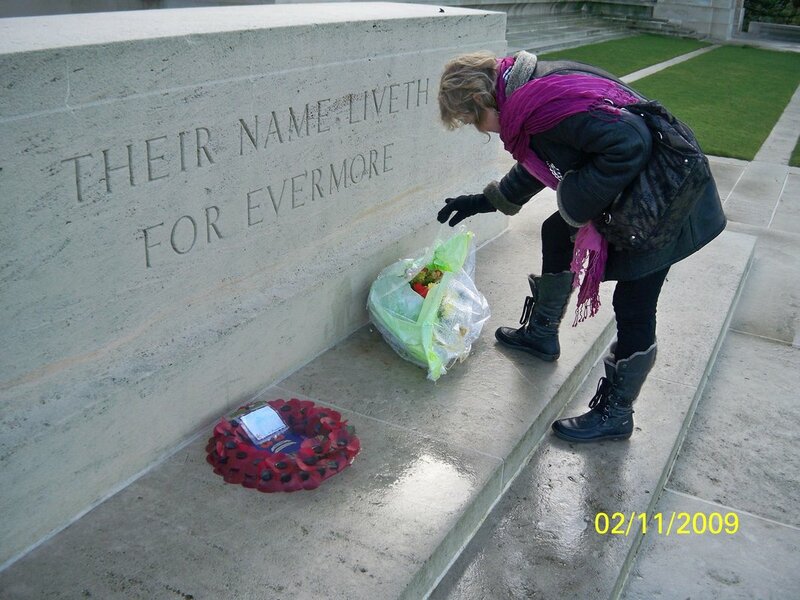 His headstone at Étaples recalls Ever Remembered by his Ever Loving Sisters and Brothers. George was injured and probably taken to a Casualty Clearing Station, effectively to separate the dying from the injured. From there he went to the Étaples Army Base Camp, France, the largest such base ever established by British forces, which contained soldiers, who were in training before going to the front, alongside the wounded being patched up before returning. We don't know precisely how or where George was wounded. His brother Jim Dancey left a family anecdote that he and George were together in a trench when they were both wounded by a mortar explosion. Jim was wounded and gassed and the effects of the gassing troubled him for many years after. George probably suffered more serious wounding and gassing also. I thought of the very strange look on all the faces in that camp; an incomprehensible look, which a man will never see in England; nor can it be seen in any battle but only in Étaples. It was not despair, or terror, it was more terrible than terror, for it was a blindfold look and without expression, like a dead rabbit's. Because of its importance the camp was bombed frequently by German planes and casualties included many female nurses. Without antibiotics, infection of wounds was common and the death-rate of servicemen was extremely high. 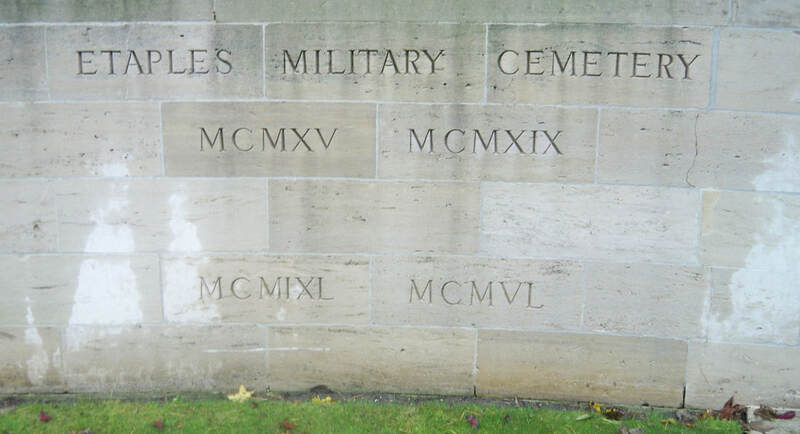 George died of his injuries on 14 December 1918, a month after the war ended, and was buried at Étaples. He was 23 years old, scarcely more than a youth. 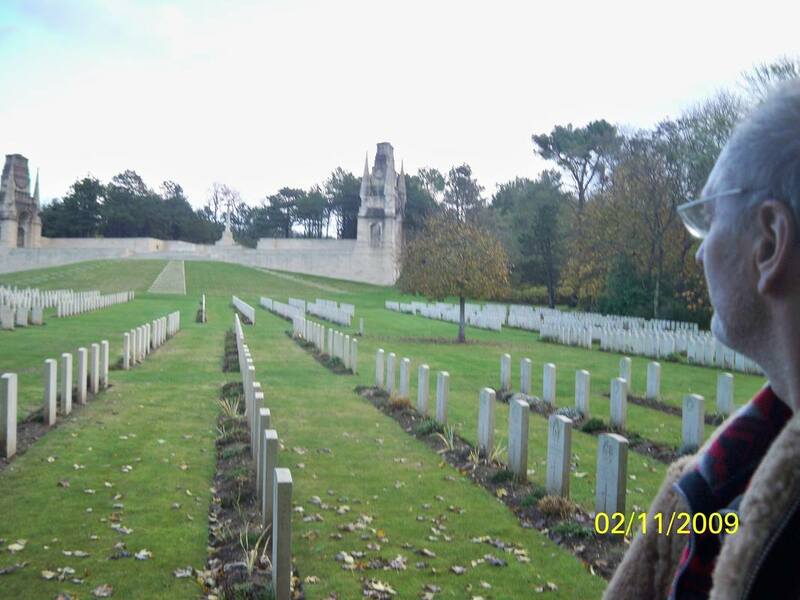 I attached photos of the visit of my wife Linda and me to my great uncle George Dancey's grave in Étaples Military Cemetery, France in 2009. Previously George's grave was not known to the family and with the assistance of the War Graves Commission, we were able to locate his final resting place. Linda and I visited Étaples on our way down to Omaha Beach, Normandy where we walked the beach where my father Dennis James Dancey landed on 6th June 1944 with his consignments of US troops from the LCT on which he was serving. We are pleased to record that George's final resting place has been visited by a member of his family, we are probably the first. William Dancey (1853 - 1919) married Annie Jemima (1860 - 1911). William was a stone mason. Children: There were 13 children: Francis William (1886 - 1957), under-gardener, married Louisa Gane (1889 - 1941); Albert Edward (1887 - 1957), under-carter; Norah Emma (1888 - 1963) married Frederick Stevens (1885 - 1968); Edith Alice (1889 - 1972) married William Johnson (1876 - 1962); Elsie Annie (b 1890); Ernest Godfrey (1891 - 1971) married Dorothy Kate Tye (1894 - 1959); William Thomas (b 1894); James Warren (Jim) (1894 - 1966) married Emily Catherine Baker (1895 - 1981); George (1896 - 1918); David (1899 - 1984) married Ruby G Hall; Edwin Jacob (1899 - 1942); Ellen Blanche (b 1902); and Ivy Vera (1904 - 1924).